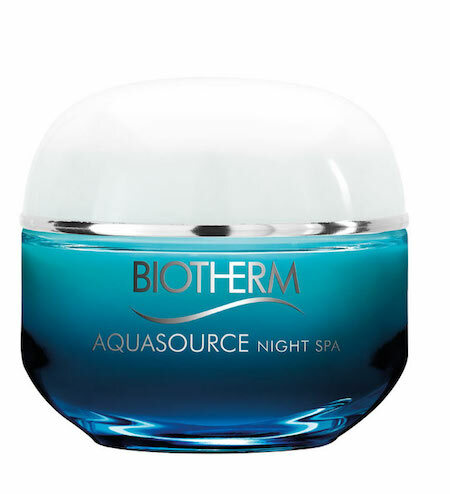 Biotherm Aquasource Night Spa Night Balm 50ml Triple Effect Spa is a night balm that moisturizes, smooth and quiet all skin types. This treatment contains a living plankton association known for its regenerative properties, and Polynesian marine organism particularly extract recognized for its healing properties. With these assets, your skin is immediately rehydrated, soothed and smoothed to a result similar to a care in Spa. Day after day, the results are visible, wrinkles and fine lines on your face are smoothed, the complexion is fresher, and your skin is waterlogged. Apply the balm daily, avoiding the eye area. Can also be used as a mask, by gently massaging the face. Indication: Care soothing and moisturizing for all skin types. Aqua, Dimethicone, Alcohol Denat, Glycerin, isocetyl stearate, Polyglyceryl-2 Stearate, Isononyl Isononanoate, Pentylene Glycol, Butylene Glycol, Stearyl heptanoate, Peg-8 Stearate, Mannose, Stearic Acid, Stearyl Caprylate, Alteromonas Ferment Extract, Sodium Hydroxide, sodium polyacrylate, Palmitic Acid, Disodium Stearoyl, Glutamate, Hydroxypalmitoyl sphinganine, Hydroxypropyl Starch Phosphate, Vitreoscilla Ferment, Cetyl Alcohol, tocopherol, Phenoxyethanol, CI 19140, CI42090, CI 60730, Linalool, Geraniol, Limonene, Hydroxysohexyl 3-cyclohexene carboxaldehyde Citral Hexyl Cinnamal, Benzyl Alcohol, Benzyl salicylate, Perfume.